Identifying ideal long-term customers is easier said than done. Simplify the process with our sales qualification template. Get a high-level overview of the lead to gauge how well they match your ideal customer profile. What do they do? What industry are they in? How big is their company? How did they find out about us? What compelled them to approach us? Are they a referral? Did they see an ad? What are the prospect's main objectives and ideal outcomes (both qualitative and quantitative)? How does our product help? What are the prospect's main pain points right now? Why are they seeking a solution now? What prevented them before? How are they dealing with these challenges? Do they currently use any competing products or vendors? What other solutions are they evaluating? What unique value does our solution provide for the prospect? What benefits or features are they most interested in? What is the timeline for implementation? When does the potential customer need a solution in place by? What are they currently spending on this issue? Do they have a budget allocated for it? If not, when do they expect they will? Has the potential customer raised any concerns about our offering? What obstacles could crop up and derail implementation? How can we address these? Are there any other topics or discussion points you should note and share with colleagues? Do you qualify this lead as an ideal long-term successful customer? Why or why not? What are the next steps? 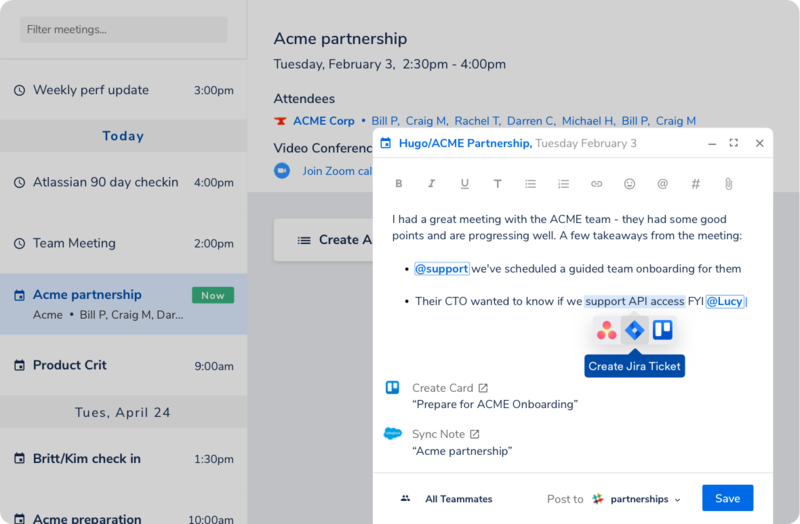 Share key information and actionable steps with your team. Sales qualification is the first step companies take toward a successful customer relationship. But filtering through numerous leads to determine if they have potential to become long-term customers can be exhausting and time-intensive. Our sales qualification template simplifies the process so you can efficiently make an effective judgment. Each organization has its own unique approach to sales qualification. Whether you qualify during cold calls or sales appointments, this meeting note template is customizable so you can ask the right questions and capture the correct insights. Tailor it to suit your needs and ensure your leads fit all of the criteria needed for an ideal relationship. But our outline doesn't only help you evaluate each lead better. It also allows you to establish unparalleled alignment with your team members further down your sales funnel. With centralization and sharing capabilities, this sales qualification template gives your team all the information they need to quickly pick up where you left off. By illuminating a deeper understanding of each potential customer and sharing this data, you're setting your team members up for meaningful action. And highlighting the next steps needed has never been easier before this meeting note template. With a few simple clicks, you can turn any insight into an assignable action. Use this sales qualification template to streamline the process of identifying and catalyzing long-term customer success.